Delta lost to Muncie Central 5-2. Reid Webber and Zach Long each had goals, assisted by Zac Stanley and Cade Beckley. Delta defeated Wapahani 3-2. Jon Moynihan, Isaac Griffis, and Zac Stanley had goals. Isaac Griffis had one assist. Zion Osner had 5 saves. 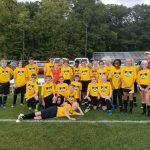 The Delta Middle School team defeated Anderson Highland 4-0. Braden Stanley had three goals and Zion Griffis had one. English Barger had one assist. Delta fell to Pendleton 3-2. Zac Stanley and Isaac Griffis each had one goal. Zach Long and Isaac Griffis each had one assist. Zion Osner had 22 saves in goal. The JV lost 4-2. Mario Lopez and Brock Steigerwalt each had goals. Lopez also had one assist. Delta lost to Yorktown 2-0. Zion Osner had 18 saves in goal. The varsity team won their first match 6-2 over burris. Zion Griffis and Braden Stanley each had 2 goals. Michael Bilibey and Jonathan Chimbanda each had 1. Assists were made by Micheal Bilibey, Zion and Levi Griffis. Cody Dicken had 15 saves in the goal. The JV lost 2-1. Cody Dicken had the lone goal. Delta defeated knightstown 10-1. Cade Beckley and Zach Long each had 3 goals. Isaac Griffis had 2, Zac Stanley and Cameron Webber each had 1. The JV won 1-0. Mario Lopez had the lone goal. 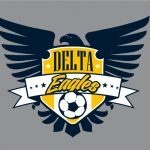 The Delta Boys defeated Mississenewa 11-0. Mario Lopez and Zac Stanley each had 3 goals. Cade Beckley had 2, Nick Groover and Isaac Griffis each had 1. Zion Osner, Dylan Sumner, and Cade Beckley shared the clean sheet. The Delta boys tied Jay county 3-3. Zac Stanley had two goals. The Jv won 4-0. Lopez with the hat trick.